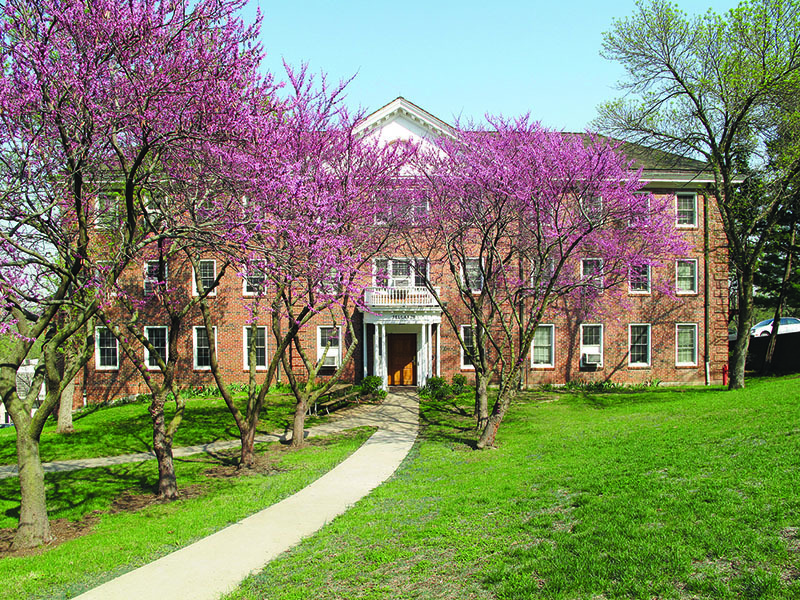 One of the three scholarship halls funded by the 1945 gift of Joseph R. Pearson of Corsicana, Texas, and his wife, Gertrude Sellards Pearson, a 1901 alumna, it is named in honor of her family. The Georgian-style brick hall on the southeast edge of the Brynwood Manor estate opened in fall 1952. It houses women in four-person suites.